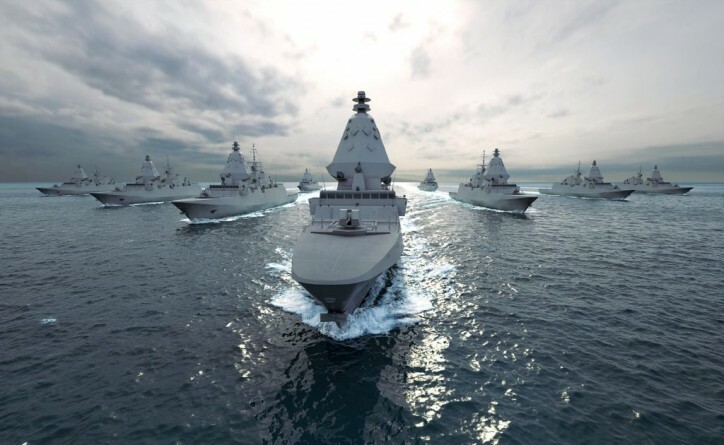 RINA, the certification, testing, inspection and consulting company, has been appointed by Fincantieri as a technical partner in the risk reduction and design study (RRDS) and prospect Classification Society for the Royal Australian Navy’s (RAN’s) next-generation frigates (SEA 5000 programme). Fincantieri is one of the world’s largest shipbuilding groups with 20 shipyards worldwide and is participating in the Australian Government’s SEA 5000 Future Frigates bid process to be decided next year. RINA is a founding member of the NSCA (the Naval Ship Classification Association) and INSA (the International Naval Safety Association) and has considerable experience in the Naval Sector, both for certification and advisory services. The company is directly involved in the classification and statutory certification of the Italian FREMM multi-mission frigates (Bergamini class). These frigates which are the reference design for the SEA 5000 proposal from Fincantieri and represent state-of-the-art of naval ship technology due to their wide range of operational capabilities and high flexibility. Paolo Moretti, CCO Marine & Trasport for RINA Services, said, “We are delighted to extend our Naval portfolio and increase our footprint in the Australian market. Being fully recognised by the Australian Maritime Safety Authority to act on behalf of the Australian Flag administration, we are already providing classification and statutory surveys for commercial ships, in particular livestock carriers, and yachts through two Marine Survey Stations located in Brisbane (Queensland) and Perth (Western Australia)”. RINA is investing in the Australian market, particularly in the cruise ships sector and are also strengthening the company’s presence as a yacht classification society, where RINA holds a leading position in the worldwide panorama of classification societies. The company’s expansion plans also include advisory services relating to the transportation and renewable energy sectors. Already RINA is managing projects including the extensions of the Perth's railway network and a specialist team based in Sydney has provided advisory services for over 2GW of renewable energy projects over the past 12 months, including Australia’s single largest solar project to date.